Now as my school is a GAFE school, I have been experimenting a lot with different methods of data collection and using different methods of assessment. After watching Adam’s video I was thinking to myself ‘this would be perfect for my fitness testing that would be starting this week’. So I used Adam’s template and sent it out to my students over Google classroom. I told them this would be the easiest homework they will ever have, as they just needed to fill in their name, age, grade and submit it to me using the turn in button. Once done I set about setting up my Doc-Appender. This was pretty straight forward as in google form it is just an add on, and you attach your google classroom folder with the templates in. The way I have it set up, the names automatically get put into the name drop down box. 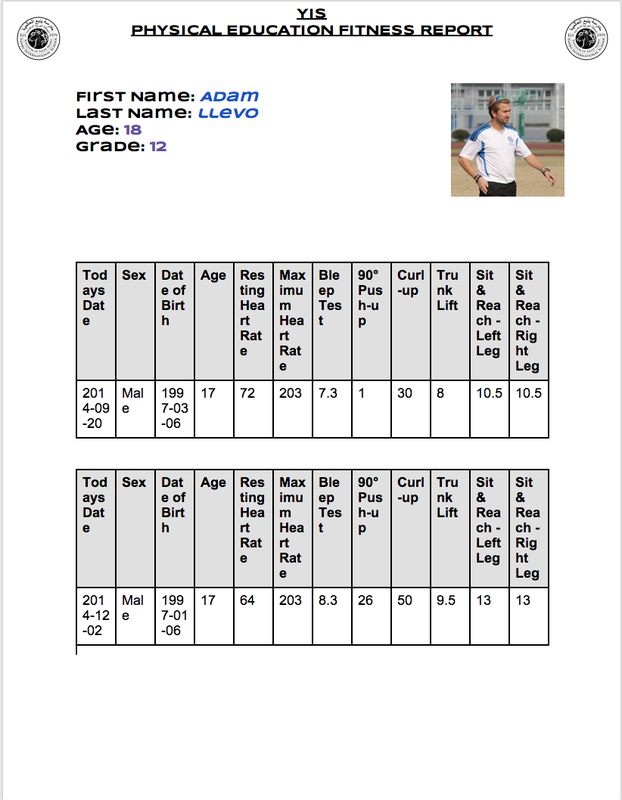 Then I had my students input their initial data they collected from September as I wanted this to go onto their reports. I then asked them to input their new data from their second round of tests. Now as it is in classroom I only have edit rights, but the student can view the document in their drive, and compare their values. So it creates a report or like a on going PE ‘Facebook’ feed, which for me is amazing as they can see differences, and development in all aspects. From this feed they can then go and goal set in preparation for their next fitness test. How I see it developing is an on going report for different assessment. You could include weblinks, that takes an individual to photo’s/videos of performance, literally anything, so would be like an ongoing summary page that all can see. No lost pieces of paper etc. Could this replace evernote or other similar sportfolios? It could definitely help. 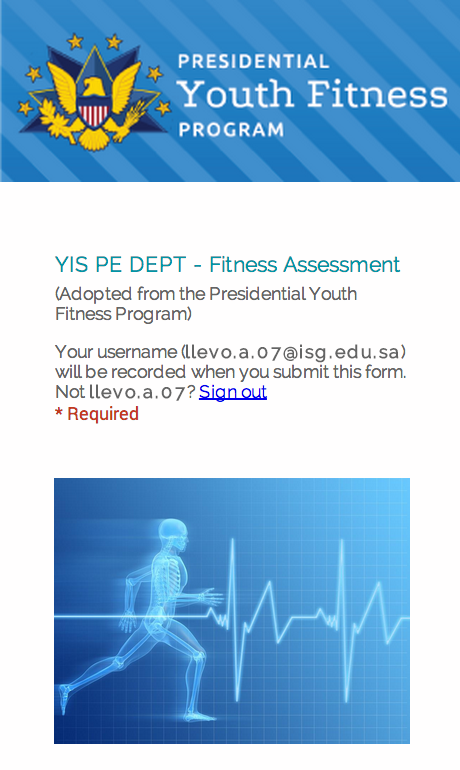 How do you collect your fitness data? What methods do you use for your Sportfolios?